With 2012 rapidly coming to an end, David Bigland, the MD of Moduleo UK is predicting key flooring trends for 2013. Throughout 2012 we have had a great deal of success with our classic wood finishes. 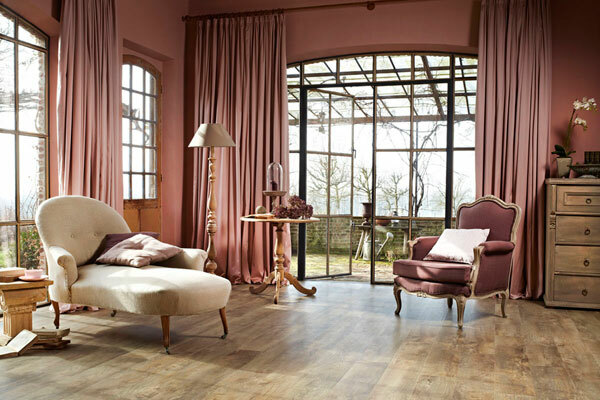 We expect this trend to continue long into 2013 and beyond as a wooden floor finish provides a timeless canvas on which a room can be personalise. Some of our most popular finishes include Country Oak, Verdon Oak and Classic Oak. With an increase in open plan living, consumers are keen to showcase the open spaces in their homes. By fitting flooring in wide planks and large tiles, space is accentuated and the room widened. At Moduleo, our Select plank is 163mm x 988 mm, and our Transform plank is 196mm x 1320mm which not only creates the illusion of greater space in any room but also adds to the luxurious nature of the finish and the natural appearance of our LVT flooring. 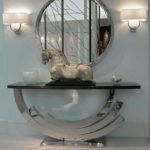 Whilst traditional hard-wood finishes will no doubt continue to be popular in 2013, there is a growing trend for slightly unusual and exotic finishes. One of the many benefits of LVT flooring is that it allows us to perfectly replicate these finishes, which we expect will grow in popularity in the year ahead. An example of this is our product Ethnic Wenge which has proved extremely popular and is based on a rare, tropical wood from the Congo. Mintel’s Carpet and Floor Coverings report 2012 shows that 46% of people now say that whether or not a product is “environmentally friendly” is a key factor in their buying decision. At Moduleo we have certainly had a very positive response to our eco-commitment and expect the demand for environmentally friendly products will continue in to 2013 and beyond. Whilst LVT continues to grow in popularity, consumers are embracing the possibility of having a stone floor which is not cold underfoot. We have developed a number of colours and finishes that we expect will be popular in the New Year including Limestone and Bluestone. These unusual and slightly warmer tile finishes can work in kitchens, bathrooms, hallways and even living rooms. As with all Moduleo flooring, they can also work perfectly with underfloor heating, adding even more warmth to any home. Moduleo produces a diverse range of vinyl floor tiles in a large selection of colours and finishes. These are available in both a traditional LVT construction as well as a simple-to-install Click system which hold a strong consumer appeal due to its added flexibility. By investing in innovative manufacturing techniques, Moduleo is proud to be at the forefront of this industry whilst also offering an environmentally-friendly option for consumers.